Supply and return air safely in hand with only one controller. 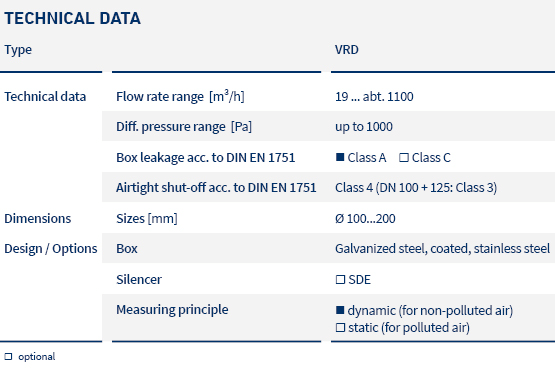 With round flow rate controllers VRD, both constant and variable flow rate control are easy, including complete shut-off. Can be used in contaminated / laden air depending on the design. 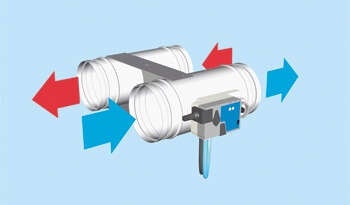 Control and regulation are achieved with external energy, either electric or pneumatic depending on the chosen design. 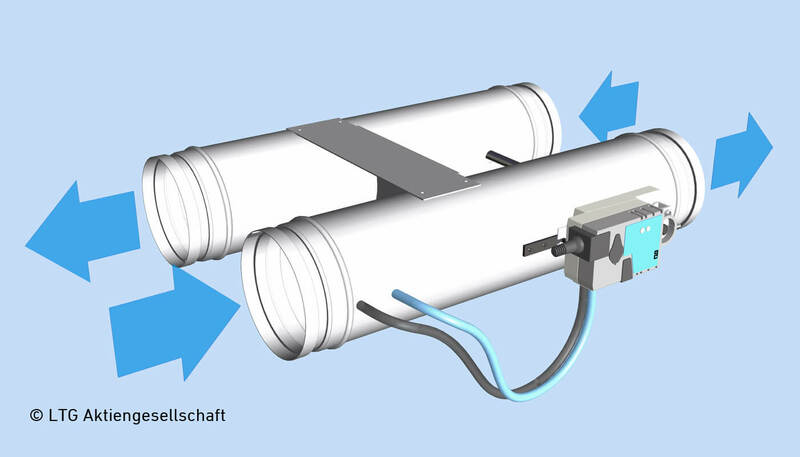 With two dampers for supply/return air control in parallel air ducts (e.g. hotel rooms). With plug-in end pieces for a lip seal gasket to fit air ducts according to DIN EN 1506 or EN 13180. Available also as corrosion resistant Version.